Join us on Saturday, May 18th from 11am-3pm to launch the 6th annual Plant A Row for the Hungry program, Growing Goodness in Your Garden. Bring your family together by growing fresh vegetables in your own back yard, patio, or community garden. Sign up to participate in the 2019 Plant A Row program (PAR), and you’ll receive a variety of garden goodies to get you growing. Anyone can sign up to participate—whether you plant one pot, one row, one acre or anything in between. Not a gardener? No problem. We hope you’ll come out and join us whether you sign up to participate in the 2019 campaign or not. 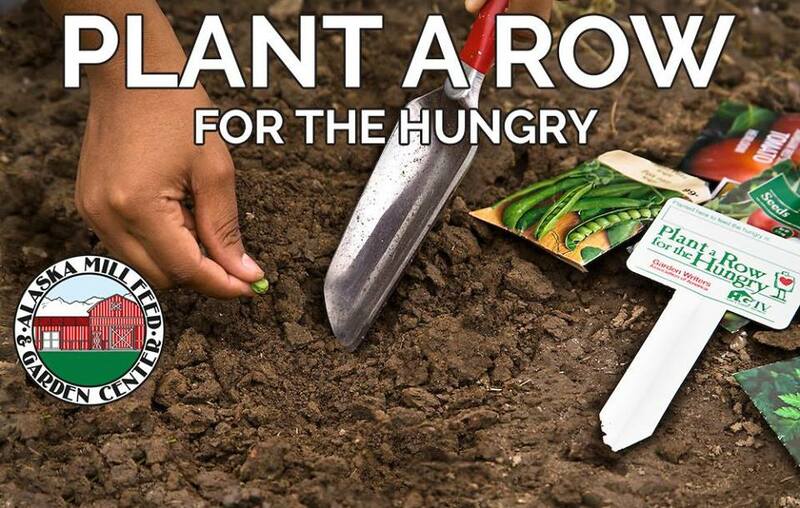 Plant a Row for the Hungry is a program established in 1995 by the Garden Writers Association to encourage communities throughout the nation to grow and donate fresh vegetables, fruits, and herbs to help relieve hunger. During harvest, all donations need to be dropped off at Bean’s Cafe or Food Bank of Alaska.